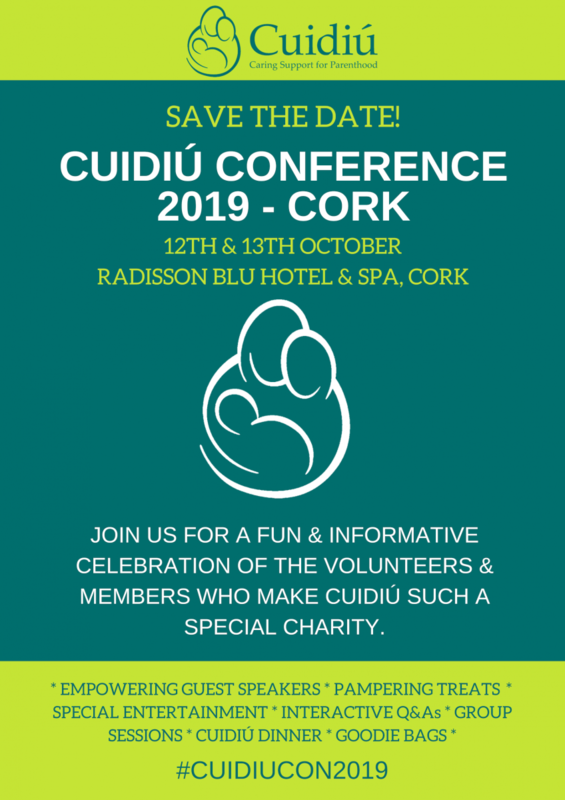 The Cuidiú Cork branch cordially invites you to a conference designed especially for Cuidiú members and volunteers just like you. Pencil the weekend 12th - 13th of October 2019 into your diary now and stay tuned for more details about the conference which promises to be one to remember! Next year’s conference is going to be a bit different from previous events. For one thing, it will be held in October instead of May, and this time in the real capital! More notably though, this conference will focus purely on the people who make Cuidiú an incredible charity by recognising and rewarding the work of our volunteers. So if you are a member that hasn’t yet had the chance to volunteer, expect to leave the weekend eager to get more involved! The theme is Back to Basics, and we’ll treat the weekend as a way to say a massive “thank you” to all our volunteers. There’ll be fascinating talks, delicious meals, a little pampering, and plenty of surprises. Stay tuned for more info about the special events we have planned for you...you’re not going to want to miss it!